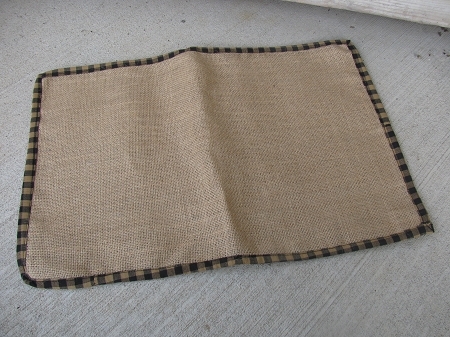 Burlap with Black and Tan Rectangle Placemat. Burlap center with Black and tan homespun fabric border. Size is 19 1/2" x 13". Great for table accent or decorative mat under a primitive arrangement.